The First Line of Defense for Ingrown Hair and Skin Brightening is a unique cosmetically elegant roll-on serum, formulated to reduce the appearance of dark spots caused by ingrown hair, razor burn and bumps resulting from shaving, waxing, tweezing, sugaring, electrolysis and laser hair removal. 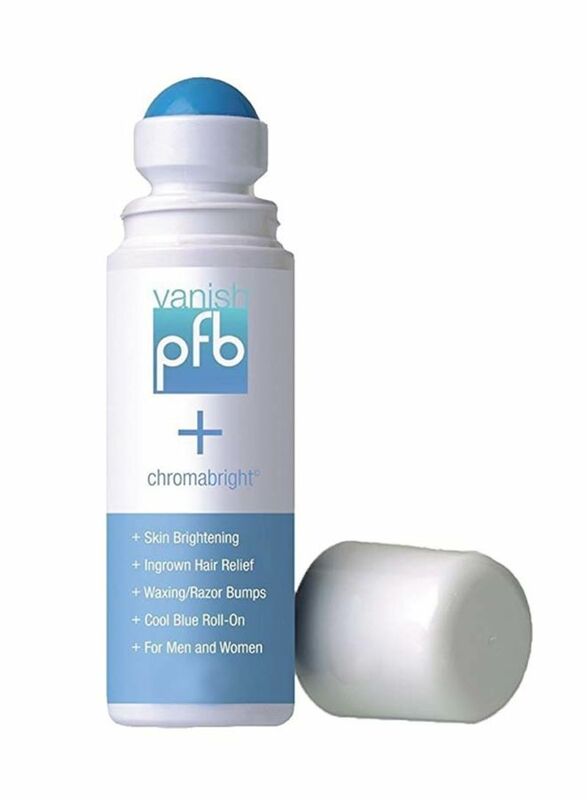 PFB VANISH with Chromabright reduces skin discoloration. It is recommended to use PFB Lumen8 to moisturize the skin at least after six hours of using PFB VANISH+ Chromabright.